Going fishing with local fishermen makes for an excellent tour. 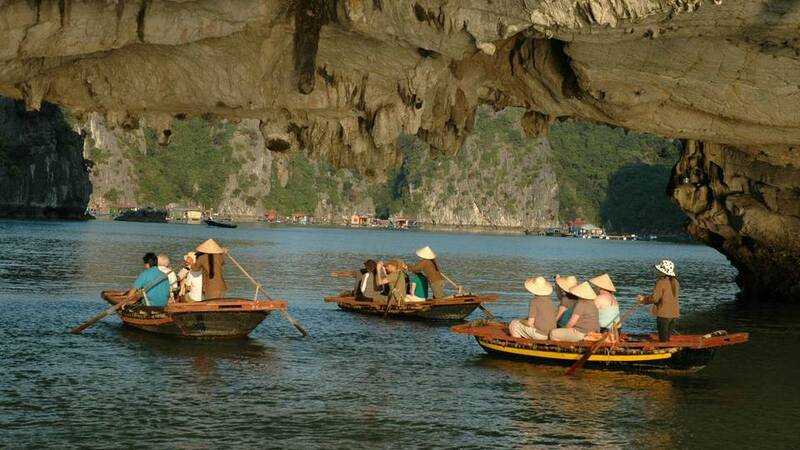 Indochina Junk is the first and only company in Halong Bay offering this program. Fishing is one of the daily life activities of local fisherman in Halong Bay, they live in the floating village and go fishing every day. In the fishing trip, you will be transferred to a local fishing boat, designed in traditional style and experience making noise, casting the fish net and get your results as real locals. Our fishing trips create the genuine feeling of being a fisherman on these waters, and make an exciting and interesting excursion for all tourists.